That’s the magic of “Hearts of Iron IV,” Paradox Interactive’s latest entry in their World War II grand strategy games. This time, players must choose whether to start during 1936, in order to have more time to prepare for war, or 1939, when the war is already ongoing. Players can also choose to play as any country they want. Want to conquer the world as Estonia, stopping both the Soviets’ advance and the German Reich’s march? Go right ahead. Want to take over the entire South American continent instead? You can do that too. 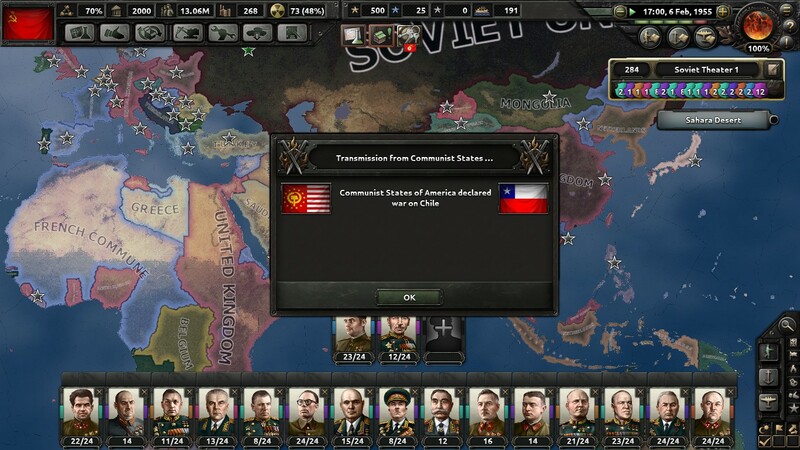 For my playthrough, I picked an obvious choice and played as the Soviet Union. I started my campaign in 1936, with the goal of taking over the world while channeling my inner M. Bison (“Of course!”) After all, Soviet Union boasts a huge landmass, not to mention its strategic view of Europe and Asia. What could go wrong, right? Before I could even wage war with the world, I had to fight my own battles first with the game’s interface. I took my time to read the 27-page beginner’s guide and took notes on what I needed to do as an aspiring military genius. I revisited the document several times, and by the time I finished my third reading, I decided I was ready. I booted up the game and quietly admired the images shown to me while it was loading. I picked my country (Soviet Union) and year (1936), and was immediately overwhelmed by the amount of buttons presented to me. My mind raced with thoughts of “What does that one do?” and “I didn’t mean to click that.” I knew I needed to build factories and improve infrastructures. I also wanted to make sure that the troops were properly armed, and that my researchers were working on improving technology. I only have three years before the Germans start moving, but for Comrade Pete’s sake, someone tell me what to click! After taking a few hours of break because I simply was too overwhelmed with the bloated interface, I took to the beginner’s guide for the fourth time. Things started making more sense to me as I recognized the contents better. I took control of my country’s construction and recruited troops for training. I assigned researchers to work on various sciences while I enlisted generals to lead my fighters. Eventually, I started planning out my first invasion while keeping an eye on Central Europe. Yet even though I was progressing as intended, I found it unfortunate that I still needed my internet browser open at all times simply because there were still too many things left unexplained. The game’s dedicated wiki page and the Paradox Interactive forums were both very helpful, especially when I couldn’t figure out how to send out my air fleet. I clicked where I was told to click, but I still wasn’t sure if it even did anything. Thankfully, the Soviet Union’s size allowed for massive army recruitment. I compensated for my lack of understanding of air and naval deployment with large ground troops. Estonia, Latvia, and Lithuania all fell to my hands easily. Iran, Iraq, Afghanistan, and Saudi Arabia were taken over with no sweat. I was poised to take Greece and Turkey. All while avoiding the large swaths of British and French territory in Africa. By the time the 1950s rolled around, the world was vastly different than what history books portrayed. I staged coups in US, Great Britain, Poland, Sweden, and Germany. Taking smaller countries to slowly expand my influence became harder with each American and British occupation, so I adopted a more sinister plan: stage a coup and implement a communist regime if you can’t take the country by force. 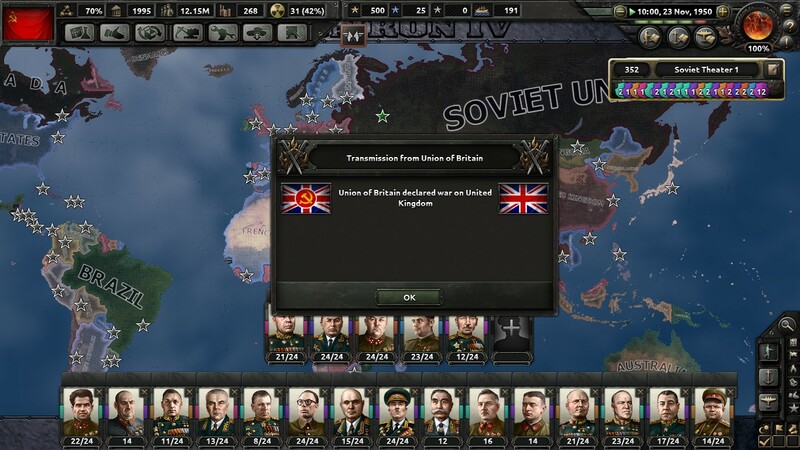 I suppose the plan somewhat worked, because I ended up with the US being completely communist and I saw the rise of Union of Britain and Communist Germany. Yet despite my attempts to distract the Allied countries, they still hated my Middle Eastern expansionism. They probably calculated that by taking away Sinkiang from me, I would be unnerved and start panicking. I tried to take Sinkiang back with my newfound nuclear weapons, but everyone turned their backs on me and declared war instead. Leningrad was quickly lost and my oil fields were being taken over by British troops deployed from British Raj. Falangist Poland made a new coalition with Communist Sweden and Communist Germany, and proceeded to declare war against me too. My downfall came swiftly after. My narrative may have ended in the late ‘50s, but my struggle with AI decisions and the interface never ended. Many a restart was done because the country I was currently invading at the time would suddenly join the Allies, prompting 30 or so nations to simultaneously declare war on me. They would mobilize their troops quicker than The Flash, and my goodwill of granting military access to some of them quickly became a way for them to attack from the inside. And while I admit that my planning was that of a 1-year-old kid trying to play “Minecraft,” I still cannot deny the handicap that “Hearts of Iron IV” has given me as a beginner. 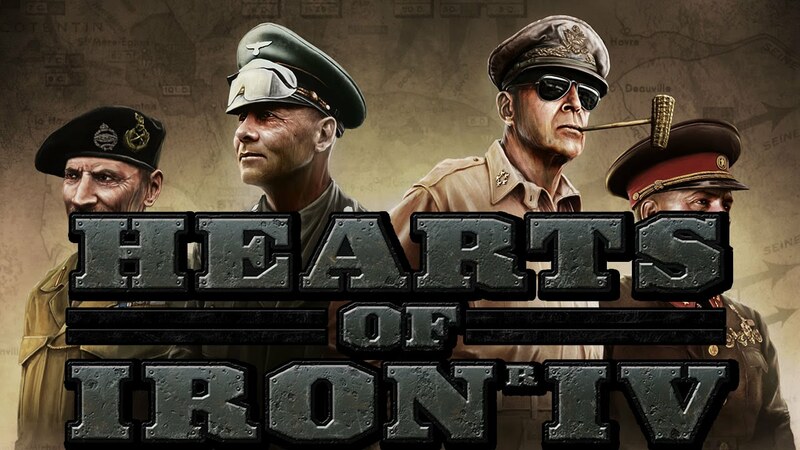 The barrier to entry for beginners is extremely high, and it’s clear that each game in the “Hearts of Iron” series caters more to series veterans, as evidenced by longtime players saying that this game’s interface is actually easier to navigate. I’m sure any dedicated beginner can conquer this game, but they have an uphill battle ahead of them. 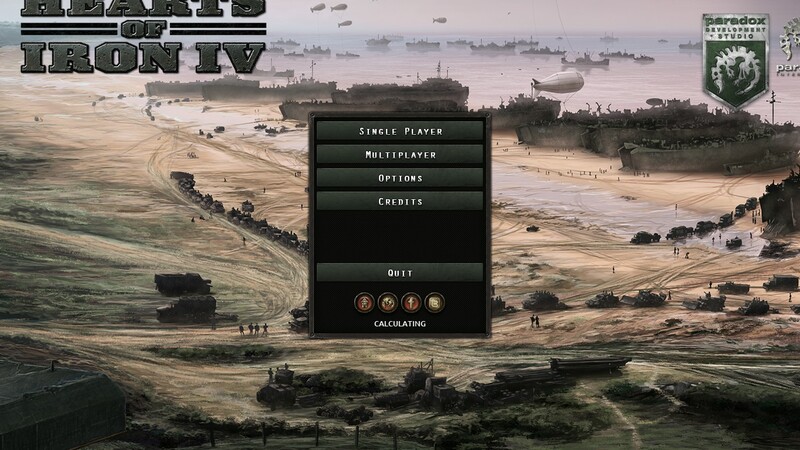 “Hearts of Iron IV” interface: 1. Me: 0.